The Cure Parkinson’s Trust presents their third comedy quiz night, hosted by comedian and author Tony Hawks. The Parkinson’s campaigner will be joined by fellow entertainers Clare Balding, Alan Davies, Robert Llewellyn and Tim Vine. The Parkinson Society British Columbia are hosting a panel of experts in a four-part series, focusing on the difficulties of receiving a Parkinson’s diagnosis. 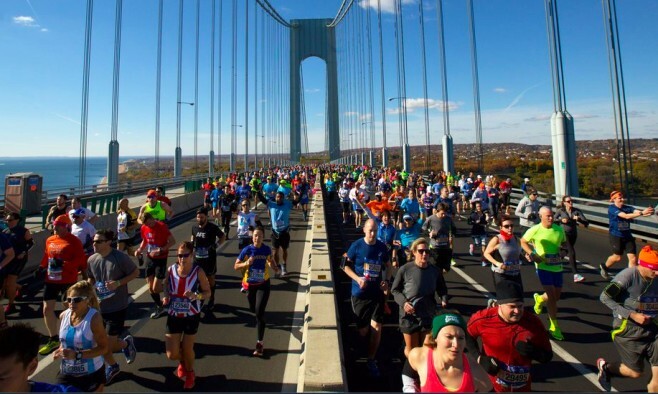 Join the Parkinson’s UK team as they run across five boroughs of New York City: Staten Island, Brooklyn, Queens and the Bronx before finishing in Central Park, Manhattan. The National Parkinson’s Foundation are inviting all the family to their popular walk/run event. The day will feature a friendly walk course, kid’s area, caregivers relaxation tent and a special movement pavilion. Join The Parkinson’s Foundation for a talk presented by physical therapist Michele Hippler-Brant, focusing on why rehabilitative therapies should be part of every Parkinson’s treatment plan. An opportunity to see the world’s most famous brass band in aid of Parkinson’s UK. Following on from successful events in London and Newcastle, Parkinson’s UK’s Shake With Laughter will be debuting in Glasgow – with appearances from comedians Jo Brand, Sarah Millican, Johnny Vegas and Jason Manford. Enjoy an evening of theatre and fun in the English capital, in aid of Parkinson’s UK. The Cornley Polytechnic Drama Society have devised a 1920s murder mystery, filled with laughter and theatrical surprises.